Appearing in pantomime opposite one of Hollywood’s biggest stars was an experience Andy Scott-Lee will never forget. And while Tinsel Town legend Mickey Rooney might not be in the cast for this year’s pantomime, Cinderella, at the Stiwt Theatre, Rhos, heart-throb Andy is set to once again have female hearts fluttering as he tackles the role of Prince Charming. 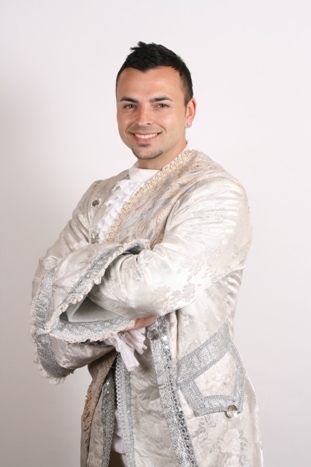 It was back in 2008 that the former singer 3SL and Pop Idol contestant Andy Scott-Lee played Prince Charming at Sunderland’s Empire Theatre. He starred opposite Liberty X singer, and former wife, Michelle Heaton, while the legendary Hollywood star Rooney played her dad, Baron Hardup, in what was his pantomime debut. And Andy says he’s delighted to be back playing Prince Charming especially as this year he’ll be back in his native North Wales.